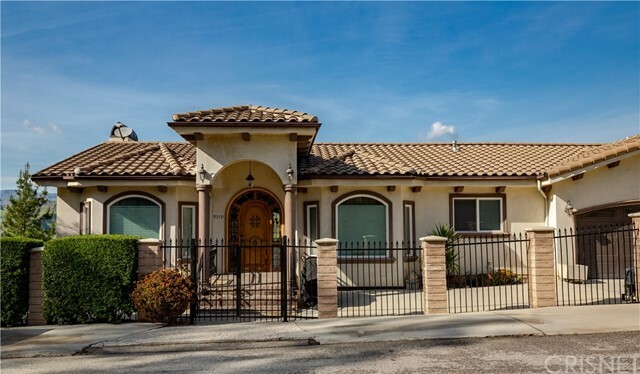 All Shadow Hills homes currently listed for sale in Shadow Hills as of 04/25/2019 are shown below. You can change the search criteria at any time by pressing the 'Change Search' button below. 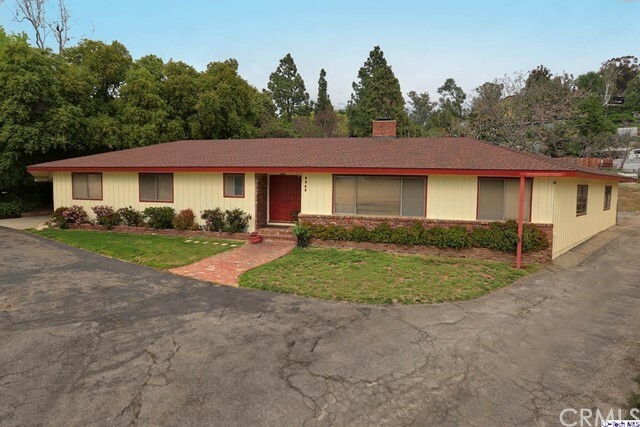 If you have any questions or you would like more information about any Shadow Hills homes for sale or other Shadow Hills real estate, please contact us and one of our knowledgeable Shadow Hills REALTORS® would be pleased to assist you. "Living Beautiful House in Stallion Ranch Estates. Privately gated estate on a 5-acre lot with 1.61 acres flat pad! 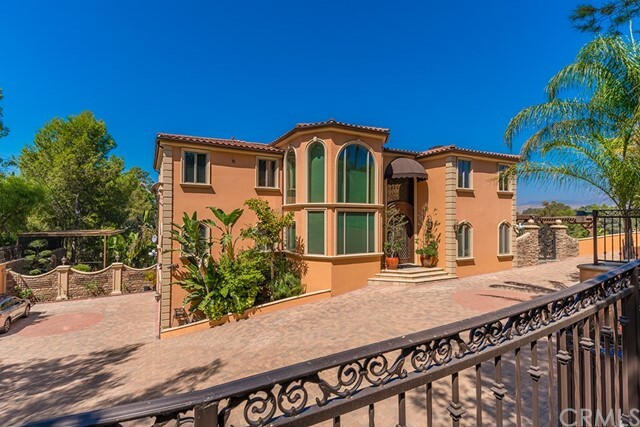 Beautifully designed interior and exterior features five bedrooms + 4.5 baths in 6,007sqft. of living space with stunning views. Gourmet kitchen w/ granite counters, center isle & breakfast area! Stainless Steel appliances w/ Viking range, Bosch dishwasher, double oven, warming drawer & more! Huge Family Room w/ fireplace! 4 junior suites w/ private baths! Incredible master suite w/ fireplace, a spa tub, shower & walk-ins! 4 car garage! Lushly landscaped yard w/ large pool, spa, covered patio! Backyard with covered patio, spa, and pool and more. Shown by appointment only!" "Don't miss the Best home in Shadow Hill/Sunland. 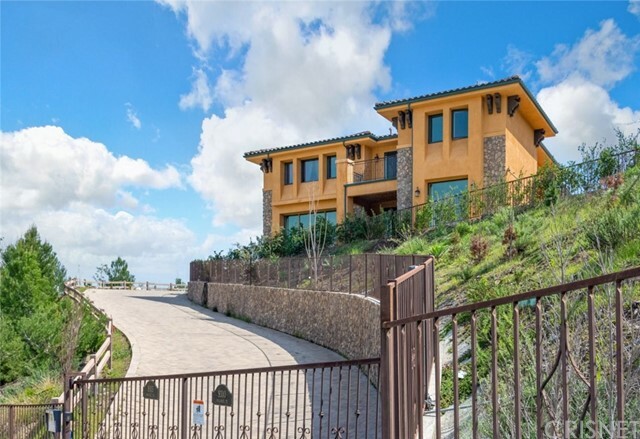 Custom- Built Gated Estate with VIEWS. This home was built in 2005 which includes 5 bedrooms and 6 bathrooms. There are two master suites and 3rd bedroom suite. You can watch the sun set from the Wrap-Around Balcony that is located on the 2nd and 3rd floors of the home. A Grand Double Front Entry Door welcomes you to a 25'+ Entry Hall. Custom Gourmet open kitchen includes GE Monogram Stainless Steel Appliances and Custom Cabinetry, Granite Countertops and a Large Center Island. Beside the High End Finishes, the house is equipped with the Life Source Water System, Tank-less Water Heater, a Built-in Sauna Room and an Outdoor BBQ Area that is easily accessible from the kitchen. The 1st and 2nd Level of the home has Balcony access to the tiered level backyard which includes a Koi-pond which features waterfall. The Front yard is landscaped with Water Fountain." "Elegant Private Hilltop Equestrian Estate. Enter through the wrought iron gate that leads to this Grand 5265 sq. ft. estate on over 2+ ACRES featuring 5 Bedrooms, (Master and Mini Master) 7 Baths. Pool & over-sized Spa, Guest house and 2 additional out buildings for 5 cars. 7 total garage spaces. 1200 square ft. 4 car garage with a loft, ideal for CUSTOM CAR COLLECTION. Main Estate featuring Custom Cherry Wood Kitchen cabinets with leaded glass doors, Brazilian Cherry wood floors, Dark green with black and gold inlay granite counters, custom leaded glass windows, subzero refrigerator, dishwasher, wine cooler, china cabinet, and so much more. Kitchen opens to a formal dining room with fireplace. The Master bedroom is beyond dramatic with double door entry to a 1200 sq. ft. suite with fireplace, 20-30 foot Vaulted ceilings with elegant his and her dressing/bathroom areas, 4 Swarovski crystal chandeliers & sitting area. Jet tub and walk-in cedar closets with 15 ft. ceilings. Master suite has double doors which lead out to private wrap around terrace/balcony and out to pool area. Sunny views of the hillside with mountain views and trails. Elegant Staircase leads downstairs to a 1200 sq. foot room currently used for entertaining with communication closet w/phone, data & satellite TV connections. Estate is monitored with 16 cameras & has monitored fire and security alarm system. Minutes away from Warner Bros, Disney and Universal Studios." "9310 Hillrose Street is more than just another home, it s a Masterpiece nestled on a hilltop. Ironclad gates welcome you into a private retreat you can call you own. Lush landscaping graces the premises while majestic views surround the home. Inside you are greeted with an elegant foyer that paves the way into a floor-plan of 4,252-SQFT of living space, 4 bedrooms & 4 bathrooms. Soaring high ceilings with recessed lighting helps create an inviting setting to unwind or entertain. 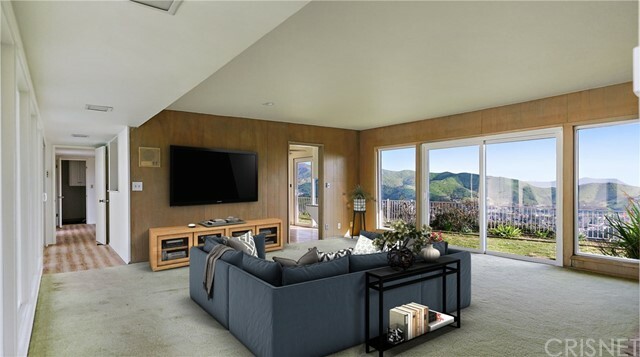 An incredible open floor-plan with large floor to ceiling windows helps the ambiance for relaxation while you enjoy all the beautiful mountain views the home has to offer. The kitchen is equipped with sleek granite counter-tops, glass tile mosaic back-splash, built-in stainless-steel appliances, a large walk-in pantry & a center island, perfect for a breakfast bar or for that much needed extra cooking space. The Master bedroom is one like no other The room is an en-suite with a private balcony overlooking the gorgeous views. Inside find a walk-in closet & a uniquely designed bathroom with double vanities, a walk-in shower, as well as a jetted soaking tub. This home also features a loft, laundry room, an attached 3-car garage & a fabulous wrap around patio that presents breathtaking mountainous views & sunsets, ideal vibes for your morning coffee or your evening beverage. This sale includes a security system, solar panels, window treatments." "The possibilities are endless! Peaceful and serene 3.64 acre horse property situated on 2 parcels at the end of a quiet cul-de-sac in prime Shadow Hills location. Currently a functioning horse boarding facility with a single family residence, studio guesthouse / apartment, 3 car detached garage, pool, entertainment area, separate guest bathroom and much more. Continue equestrian activities or build your own family compound with room for all your toys-RV, boat, etc.Drive past home with separate studio guest house and fenced in yard. Below you will see a large parking lot with a bathroom for boarders & guests as well as a 3 car garage. There you can view the large riding arena or take a swim in the sparkling, 20x40 foot swimming pool surrounded by a large entertainment area.Horse Amenities Include a 90x230 ft. riding arena, 30-40 horse stalls depending on the size (they are negotiable), large hay barn & cross ties. Behind the horse stalls is a round pen with 2 more horse turnouts.Look up the hill and you will see the Beautiful, Famous Furst Castle surrounded by lovely rolling hills. There are many possibilities with this unique property. Close to studios, downtown Los Angeles, and the Burbank airport." "The exquisite McBroom Estate embodies the luxuries of a Beverly Hills mansion with Smart Home technology. It is situated on a private road in the beautiful country location of Shadow Hills. This luxurious home encompasses true craftsmanship, style and is a entertainer's dream. This newly built masterpiece has a private gated driveway situated on more than 1/2 acre lot. This ECO-FRIENDLY home features a spacious floor plan that offers high ceilings and indoor/outdoor open living and dining room with a disappearing glass wall which lead to the balcony with spectacular views. The office/study can be use as an additional bedroom. Rich wood and stone floors with magnificent finishes throughout make this home a dream come true.The expansive kitchen offers a walk-in pantry, center island, breakfast bar and nook. Escape on the lower level via elevator and appreciate the large bonus room which can be used as a play/game room or go relax by the pool that overlooks the peaceful mountains." "You will love this stunning 2 -story contemporary home with breath taking views of the Angeles Crest Mountains. This 4-bedroom, 4-bathroom home gives you 4,044 sq. ft. of spacious elegance, natural wood flooring & travertine tile throughout, and a modern gourmet kitchen. Imagine sitting in the formal family room, with high ceilings, a fireplace, looking out the balcony seeing the mountains. This open floor plan is perfect for family and guests, with a guest bedroom and bathroom upstairs and 3 bedrooms 3 bathrooms downstairs. The master wing has its own office work room, a 12x12 walk in closet, plus a one of a kind master bathroom. The fully fenced property has a 2 car garage, Dual AC's, an inviting formal entryway, with a wrought iron stair case. Centrally located with only minutes from 2 popular golf courses, Pasadena, Burbank & the City of Glendale." "California living at its best! 1960 s Retro home nestled in Shadow Hills on a beautiful, quiet street. Close to the 210 freeway, this house offers a spectacular view of the San Fernando Valley and a private pool with brand new energy efficient equipment. Pool also has new tile and has been resurfaced and plastered. Sliding doors and all windows have been replaced with Milgard double pane glass. The roof is brand new as well." "Spacious pool home in a prime Shadow Hills location! Double door entry into the foyer, expansive living room with fireplace and huge picture window provides so much natural light. Formal dining room perfect for large dinner parties. Kitchen opens to a large family room with another fireplace. Four large bedrooms including a master bedroom and three bathrooms. Big and serene backyard, covered patio, grass area, fire pit and a refreshing sparkling pool. Home also includes attached garage, laundry room, newer carport, new roof installed in 2016, upgraded 200amp electrical panel, newer furnace and central A/C, newer water heater, high efficiency pool equipment and a two horse corral. This home has been lovingly owned by the same family and just needs some cosmetic upgrades to make it your own. Located in a gorgeous and quiet neighborhood." "Ultra Charming Gated Cul-De-Sac Shadow Hills Pool Home & Entertainer's Delight! 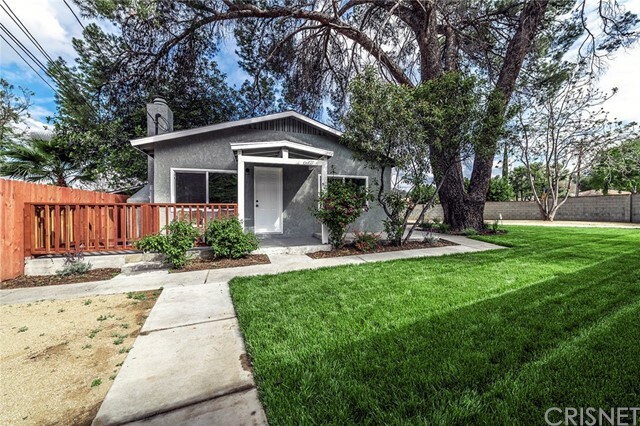 Welcome Home to this Lovely 3 Br 2 Ba Horse Property & Pool Home in the Heart of Shadow Hills! Featuring Over 1900 Sq Ft of Living Space & Nearly Acre Lot! Very Bright & Open Floor Plan Throughout! 3 Spacious Bedrooms, 2 Full Baths, Formal Living Rm w/Cozy Fireplace, Large Formal Dining Rm, + Bonus Huge 2nd Family Rm. Huge Kitchen which opens directly to the Family Room,Massive Master Bedroom Suite w/Luxurious Soaking Bath Tub & Separate Shower, 3 Closets in the Master Bedroom! Whole House Fans, Ceiling Fans Thruout,& Water Filtration,Copper Plumbing! Refridgerator, Washer, & Dryer Included! 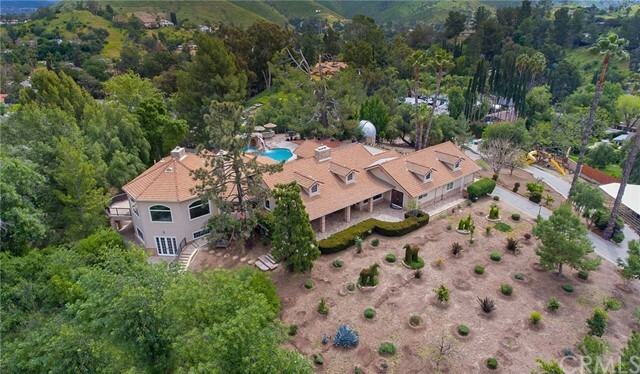 Stunning In-Ground Gated Swimming Pool,Covered Patio w/Built-In BBQ w/Refrigerator & Sink, Fantastic Fruit Trees & Planter Beds Surround the Property, Shed, 2 Car Gar, Gorgeous Long Driveway-park 12+ cars + Electric Car Charging Station & RV Hookups w/50 amp electrical,water & sewer hookups. This home is a dream home!" 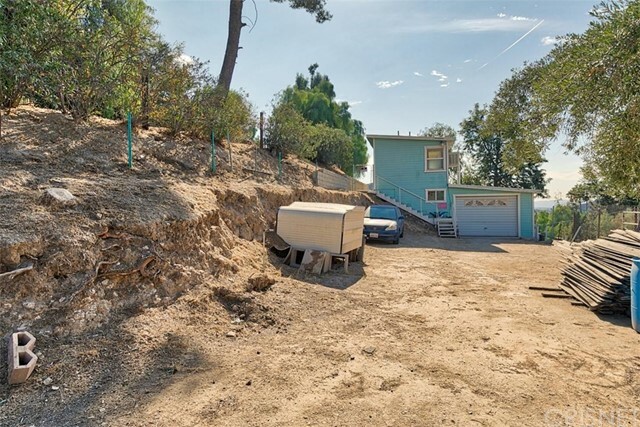 "Dial up the volume on Sunland, California living with this updated 2 bedroom, 1 bath single-story gem nestled on a prime corner lot with a huge fenced yard! Shaded by a majestic pine tree, the home is private and secluded perfect for first time homebuyers, downsizers, or those simply looking to add to their rental portfolio. Light and airy, the interiors have been meticulously updated providing move-in ready ease. Stunning wood floors, a stately fireplace, upgraded kitchen, stainless steel appliances and gas range are among the highlights. Plus, the effortless floorplan was built to entertain with an expansive living and dining space and beautiful cook s kitchen. Enjoy sizable bedrooms with unique features like a sliding barn door closet and designer tiles in the full bath. Ample windows, an outdoor patio and generous lawn tucked behind an automatic gate make this one a keeper!" "Fantastic panoramic view home with large size lot in desirable Shadow Hills. Sited on a private Cul de sac street you are guaranteed a private setting to enjoy the fantastic views. Existing foundation 1 bed and 2 bath home. Great opportunity to build in a desirable community, come take a look. The property is completely fenced and cross fenced. With it's location and present amenities this home represents a wonderful opportunity for someone to add on their personal touches and make this equine property their home. Lower price for fast sale. Bring all offers." "The property was remodeled in 2005 with high end materials and appliances and has been well maintained. Newly painted. The house features 4 bedrooms 3 bathrooms. Spacious kitchen with granite floor and counter-tops, stainless steel appliances. The large living room with a fireplace leads to the formal dining area and to the backyard patio. The sparkling pool in the backyard has lots of privacy. Mountain views from the front rooms and the balcony. The laundry hook ups are in a separate utility room in the backyard. Lots of storage space. Must see it. Ready to move in. Please call Amy at 310 877 2112 to make an appointment to see the property."